Finally after a five week reign, someone has toppled Drake at the summit of Billboard’s Top 200 Albums Chart. 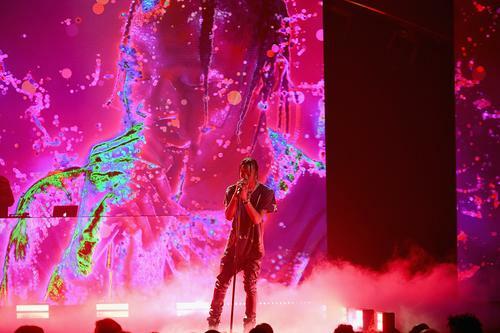 Unsurprisingly, it was Travis Scott who pulled off the feat, unseating Drake by a wide margin. Travis’ Astroworld sold 537,000 album-equivalent units in its first week, with Drake falling to 2nd with a performance of 117,000 units sold. Rounding out the top 5 are Mac Miller (Swimming) with 66,000 units, Post Malone (beerbongs & bentleys) with 58,000 units, and YG (Stay Dangerous) with 56,000 units.